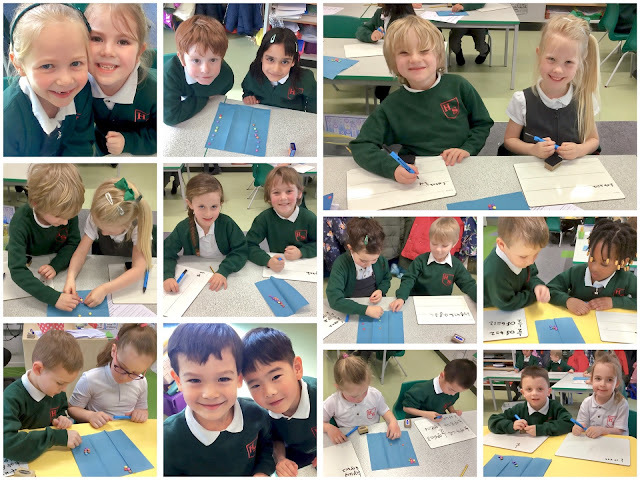 Year 1 have been learning about halves and quarters in their Maths lessons. They talked about what a fraction is - splitting something into equal parts - and they practised finding halves and quarters of shapes. In pairs, the children then had to find halves and quarters of different amounts by sharing Smarties into two or four groups. The lesson finished with a much anticipated treat: Smarties!